For many people, the holidays can be a very stressful time of year. From shopping for the perfect Christmas gifts for everyone on your list, to the holiday parties, family get-togethers and holiday traffic, stress levels increase leading to tension headaches, sore muscles and high blood pressure. A lot of us disregard this as something that comes along with the holidays, but it is actually much worse than that. Holiday stress can keep you up at night, make you susceptible to weight gain and lower your body’s immune system making it easier to catch a cold or the flu. Aside from skipping the holidays every year, how can we avoid this additional stress and anxiety? Therapeutic massage can reduce your stress levels and help you’re your body healthy and happy. From increasing circulation and relieving tension, to improving sleep and aiding in digestion, massage therapy offers a wide range of health benefits. Getting a massage after the holidays will keep you healthier, reduce your stress and help you get a good start on the New Year. Massage Therapy Promotes Muscle Relaxation- our muscles can become tense and sore during the holidays and an after holiday massage can promote effective muscle relaxation, reducing that sore, achy feeling that can slow you down. Massage Therapy Is Relaxing- the holidays are hardly a time to relax. With shopping, cooking for family and attending holiday parties, we barely have time for ourselves. An after holiday massage can help us relax and reduce our stress and anxiety levels by reducing the amount of cortisol in our bodies. Massage Therapy Can Help Improve Posture- when our muscles ache and begin to tense up, our posture can suffer. This can lead to chronic back pain causing you to miss work or have difficulty walking. An after holiday massage can help improve your posture while relieving the pain and tension in our back. Massage Therapy Can Help Improve Circulation- when we are tense and our stress levels are high, we can experience reduced circulation which can lead to damaged, stiff, and tense muscles as well as reduced feeling in our extremities. An after holiday massage can improve your circulation, providing essential blood and oxygen to your muscles. Massage Therapy Can Help Lower Blood Pressure- high blood pressure is extremely dangerous and can lead to a wide range of other health issues. An after holiday massage can help reduce your blood pressure and regulate it to ensure both systolic (upper number) and diastolic (lower number) levels are where they should be. 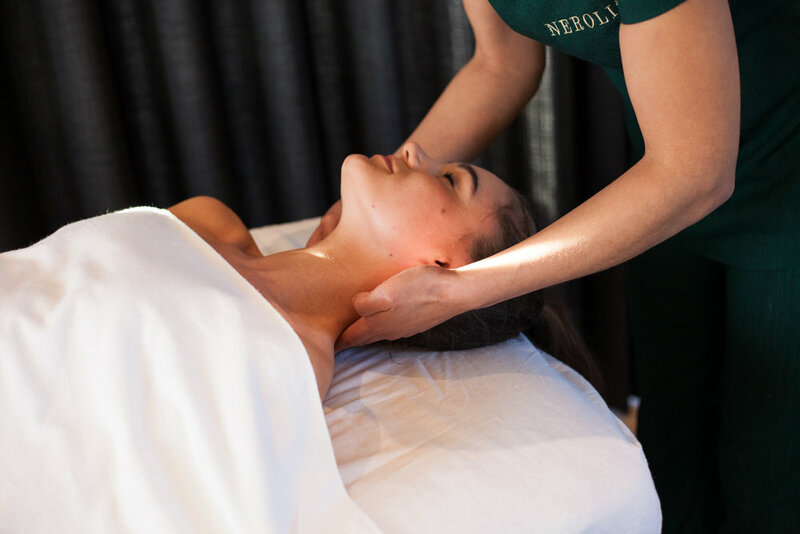 To learn more about the benefits of An After Holiday Massage, contact Neroli & Co. today!